I have received a few messages asking me to compare Saatva to different Tempur-Pedic models. 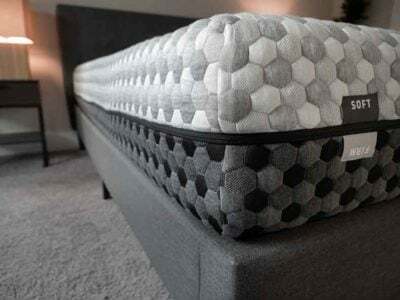 I thought I would put together a few thoughts on this, because Saatva is a very different option from the Tempur-Pedic line of mattresses. If you are looking at both of these companies, you should know these differences because the experience you will get sleeping on one versus the other will be quite different. This is the biggest difference between the two companies. While Tempur-Pedic now has a few models that have incorporated innerspring units, it is known as a memory foam company. If you are looking into Tempur-Pedic, then you are most likely looking to get a memory foam mattress. Saatva follows a more traditional innerspring construction. The feel of the Saatva versus the line of Tempur-Pedic mattresses is very different and roughly follows the main differences between an innerspring and memory foam mattress. The Tempur-Pedic mattresses generally have that slow-reacting, sinking in feel that is fairly typical of high quality memory foam. Saatva has a sturdier, more standard feel where you feel that you sleep “on” the mattress rather than “in” the mattress. 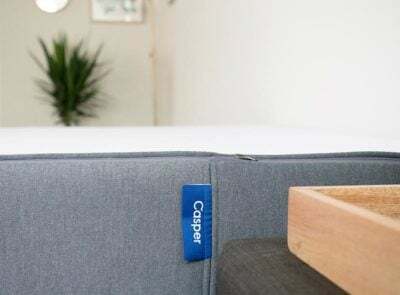 Given the vast difference in construction and feel, I would first start out by analyzing which type of feel you are used to and that you prefer, as this should potentially be the biggest determinant of which mattress to get. The videos below show off the general difference in feel. 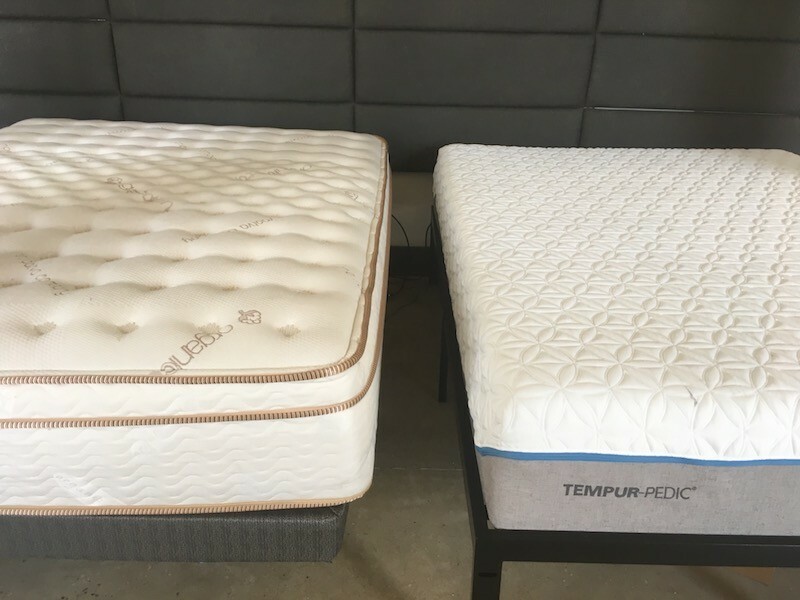 The second video is of the Tempur-Cloud Supreme, but most of the Tempur-Pedic mattresses will have the same responsiveness (the firmness levels will be different). Tempur-Pedic has done an amazing job of marketing and branding over the years. It is a household name and has become synonymous with memory foam. You might even say they created the memory foam mattress category. As a result of this solid branding, their line of mattresses tends to be priced fairly high. They also mainly sell into retail stores, which then mark the product up substantially. As a result, the consumer ends up paying a lot of money to get a Tempur-Pedic. 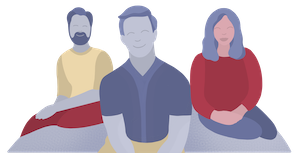 Saatva sells direct to consumer, so it avoids the extra markups and costs associated with the standard retail business model. As a result, the price of the product is much more affordable to consumers. Cutting out the “middle man” is a great value-proposition for consumers. Saatva’s business model allows them to price their product much lower than the Tempur-Pedic line of mattresses. Related: what’s the best mattress? Tempur-Pedic is a big line of mattresses. 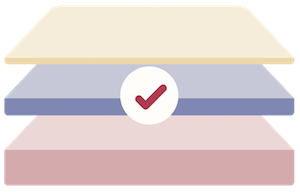 If you go to a retail store, you can have a salesperson help you navigate through the line and help you identify the optimal mattress for you (or start with my Tempurpedic reviews). You can certainly do your own research too, but this is nice if you feel like you need help deciding which mattress is ideal for you. Saatva simplifies everything by just providing one product. They tried to make a product fit for all types of sleepers. This makes the research process pretty simple because you just have one option. Learn more in my Saatva review. You Want To Save Money– In my opinion Saatva is the better value because it prices its mattress so much lower (from the online-only business model). It gives you the opportunity to get a high-quality mattress at a more affordable price. 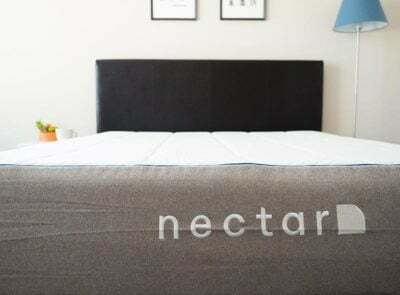 You Prefer Traditional Spring Mattresses– If you like the feeling of more sleeping “on” your mattress and having a little bit of bounce, then Saatva is the way to go. You Love Memory Foam– Memory foam tends to be a love it or hate it type of thing. If you are in the “love” category, then Tempur-Pedic is definitely the right choice. You Want A Very Specific Firmness Level– Tempur-Pedic has a mattress for just about every firmness level you could want. 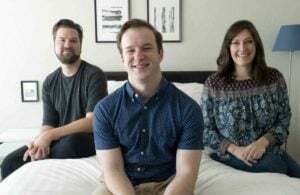 Saatva is a great fit for the majority of sleepers, but if there is a very specific firmness level you want, then having the full line of Tempur-Pedic mattresses with different firmness levels may be the more appropriate choice. If you are looking at these two companies, you should know that they are significantly different. It’s hard to say one is better than the other. You should decide which type of feel you like first, as that should be a big determinant of which mattress you should get. There are certainly tradeoffs in selecting on over the other. Saatva represents the much better value because of its business model and price. Tempur-Pedic has decades of experience and branding behind it. If you do a little bit of thinking and research on your own, you should be able to come to a good decision between the two companies. Because I have back problems I bought a Tempur pedic mattess about 8 years ago .. I feel my back problems are worse then ever, and I would gladly try another type of mattress… What would u recommend…?? 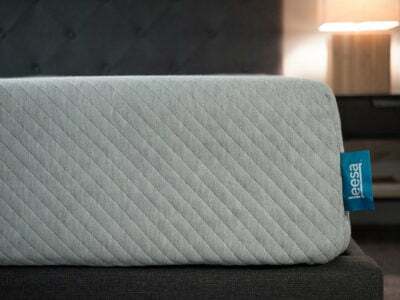 Take a look at the Level Sleep mattress.